Outside of hiring, growing your teachers is the most important work of a school leader. 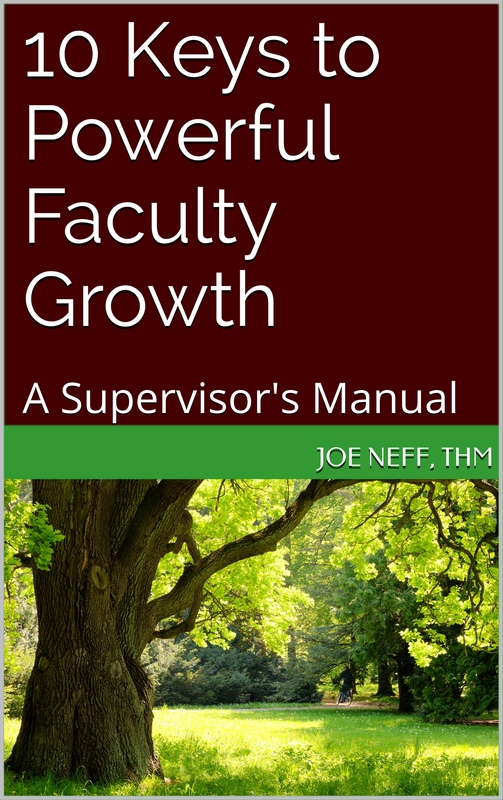 10 Keys to Powerful Faculty Growth: A Supervisor’s Manual gives you what you need so your teacher’s grow, to become the best teachers they can be and serve your students and families well. To be known for quality faculty. A value proposition that accomplishes vision and attracts and retains students. Designed for Christian schools, researched and tested, with a bent to looking at God’s Word for wisdom. Part 1: Explores principles of supervision and growing. Part 2: Explains the 10 Keys for Powerful Faculty Growth. 10 Keys to Powerful Faculty Growth: A Supervisor’s Manual will be available in 2018. Click here for a free, one page overview of the 10 Keys to help before the book is ready!